Crinkle Chiffon long bridal shirt in Light Gray color. 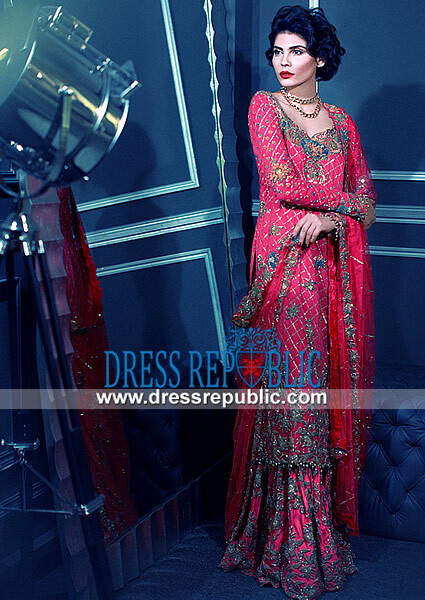 Fully embellished front, sleeves and back. 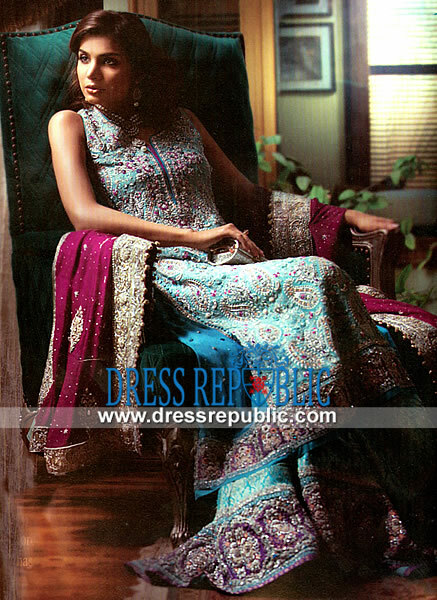 Two legged flared sharara in Banarsi Jamawar fabric; in Gainsboro color; embellished bottom. 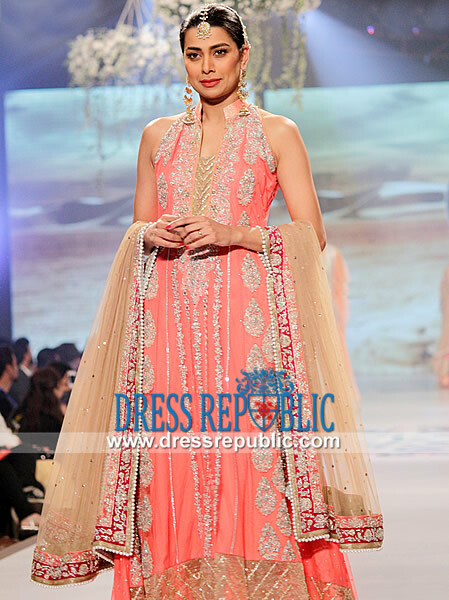 Crinkle chiffon dupatta in Wheat color; rich detailed embellishments all over.